Strategies for preparing and writing short-answer and multiple-choice exams, as well as tips for dealing with exam anxiety. Do you want some help in developing a schedule to study for final exams? This is an excellent resource that will help you develop your study schedule for all of your courses. * December, 2018 Exam Scheduler Template - yet to come! This study plan will help you develop your study schedule for a class across a number of days. Key to this approach is to always review prior material at the start of each study session. 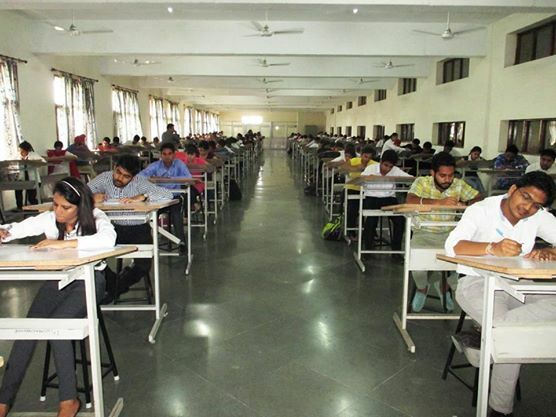 Do you want to operate at your peak performance during your final exams? Here are 10 tips from Dartmouth College for staying well during finals. The University of Leicester has put together a comprehensive guide on preparing for and writing exams. Be proactive and read through this worthwhile document! A growing body of research shows the impact of music on how we receive and store new information.The Study Music Project provides some soundtracks students have played while studying and is reporting positive results. (Musical initiative founded by Dennis Kuo, a Taiwanese American composer, music producer, and doctor). A fabulous approach that can help you prepare for exams, especially when studying within a group is to create practice tests. Give the FREE version of Easy Test Maker a try and make your own final exam. Website that allows you to make your own flashcards. Plus there are said to be millions of study sets on topics that you may be able to use which are created by worldwide users. A website that allows you to build jeopardy templates that are then displayed in a webpage. A different take on creating flash cards. With an open book and take home exam, you are tested on your ability to find and collate information. Some say they are easier, while others disagree. Visit University of New South Wales 3-part series to get tips on writing these types of exams. 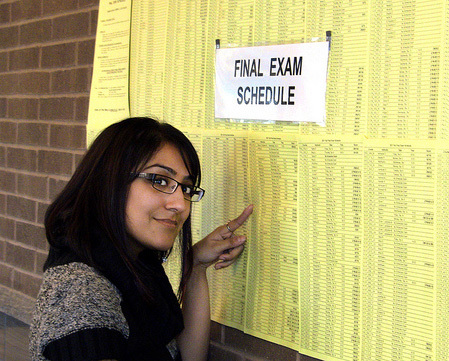 Use these final exam schedule templates to develop your personal study schedule for December and April exam periods. Make the most effective use of your time while seeing you provide adequate study time for each of your courses. The USSU maintains an Exam File with copies of old exams for hundreds of classes at the U Sask. Drop by the USSU Help Centre to pick up copies of old exams for your classes! The Help Centre can be found in Room 105, Memorial Union Building. A tremendous guide for university students covering all aspects of preparing for and taking tests and exams at university. Enter in your term marks for your courses and this xls spreadsheet will calculate what you need on your final exams to get a 50%, 60%, 70%, 80%, etc. in your courses. It will also calculate your term average.